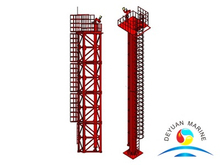 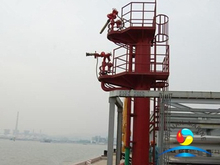 Fire monitor tower is specially designed for offshore platform fire fighting according to the national standard. 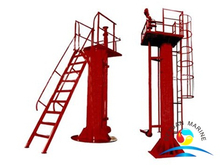 Fire monitor tower is a fire-fighting equipment and supporting the use of artillery fire.It usually located outdoors,that required it should have good corrosion resistance and can can withstand the natural environment, wind, rain, snow etc. 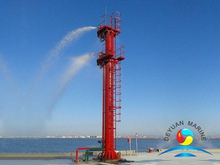 If you want to look for any good quality,good price fire monitor tower,deyuan marine would be your best choice.